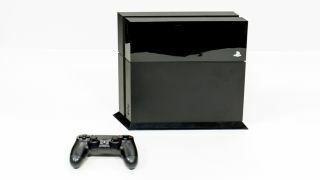 The PS4 beat the Xbox One in US hardware sales in January 2014, the first non-holiday month during which both new consoles were on sale, according to the latest data from the NPD Group. In fact, it more than beat it, according to TV gaming personality Geoff Keighley, who heard from Sony's Senior Vice President of PlayStation Brand Marketing Guy Longworth that the PS4 "nearly doubled" Xbox One sales in January. Last month, NPD figures revealed the Xbox One beat every other console, including the PS4, in the US during December 2013, but Sony claimed the PS4 was still number one overall since its launch in November. Given the latest NPD figures, Sony is no doubt thrilled that the lower price of its console is apparently making a difference now that the holidays are over and the consoles have been out for a couple months. The official PlayStation Twitter account has tweeted to brag about the console's winning streak, also claiming that the PS4 is still number one worldwide. Meanwhile, Microsoft isn't letting Sony take all the glory. The company's Corporate Vice President of Xbox Marketing, Strategy and Business Yusuf Mehdi wrote in an official Xbox blog post that the Xbox platform, including Xbox One and Xbox 360, sold 2.27 million games in January 2014, or 2.7 games per console sold, nabbing 47% of the US retail market for games. The Xbox One has seen nearly 740 million cumulative hours of gameplay from all its users, Mehdi wrote. But Keighley noted in another tweet that according to Sony, Tomb Raider sales on PS4 doubled the Xbox One version, although NPD sales data regarding software is less accurate since it does not count digital sales. The latest hardware sales numbers for either console have yet to be revealed.